The death toll from flash floods and landslides caused by torrential rains due to a tropical depression in the eastern Philippines has jumped to at least 61, with 18 still missing, according to officials. Fifty of the victims were reported in the eastern region of Bicol, located south of the main island of Luzon, the national disaster risk reduction office was quoted as saying on Monday by dpa news agency. Eleven others died in the nearby region of Eastern Visayas. Twelve people were also injured in various accidents in the two regions most affected by the rains even days before the tropical depression – known locally as Usman – made landfall in Eastern Samar province on Saturday. 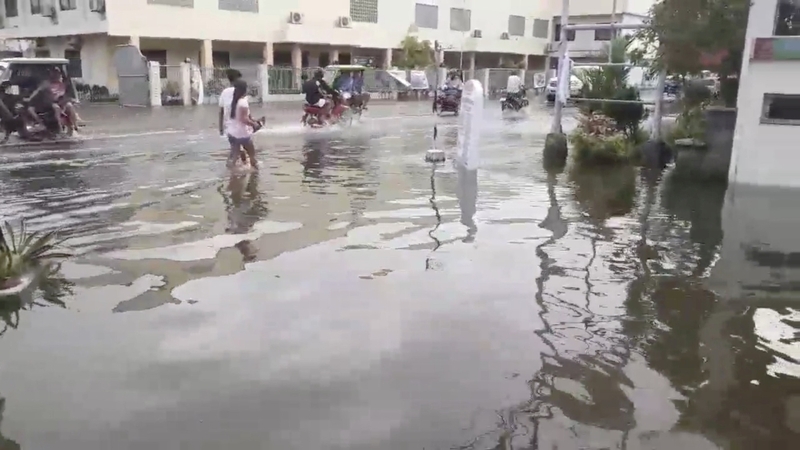 More than 22,000 people were displaced by the bad weather, which also knocked out electricity in many of the affected areas, regional civil defence officials said. Search and rescue operations were ongoing for the missing, while emergency teams were also clearing some roads and bridges made impassable by landslides and floods. Meanwhile, thousands of passengers were stranded at seaports, airports and bus terminals as dozens of inter-island trips were cancelled. The tropical depression weakened into a low pressure area, but was continuing to bring heavy rains over the eastern provinces, enhanced by a cold front and the north-east monsoon, the weather bureau said. The bad weather would also affect the capital, Manila, and other parts of the country, which could dampen usually rowdy New Year’s Eve celebrations. Each year, the Philippines is struck by an average of 20 cyclones causing floods, landslides and other accidents. One of the strongest in recent memory, Typhoon Haiyan, hit the country in November 2013, killing more than 6,300 people and displacing more four 4 million others.